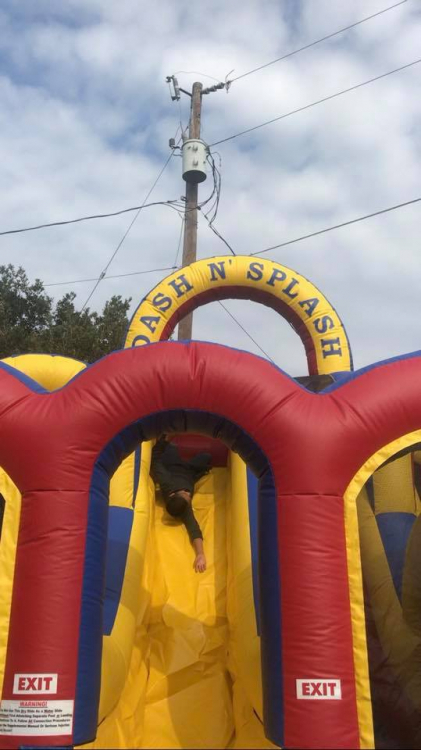 Our Dash N Splash Wet and Dry Obstacle Course can be rented all year long. 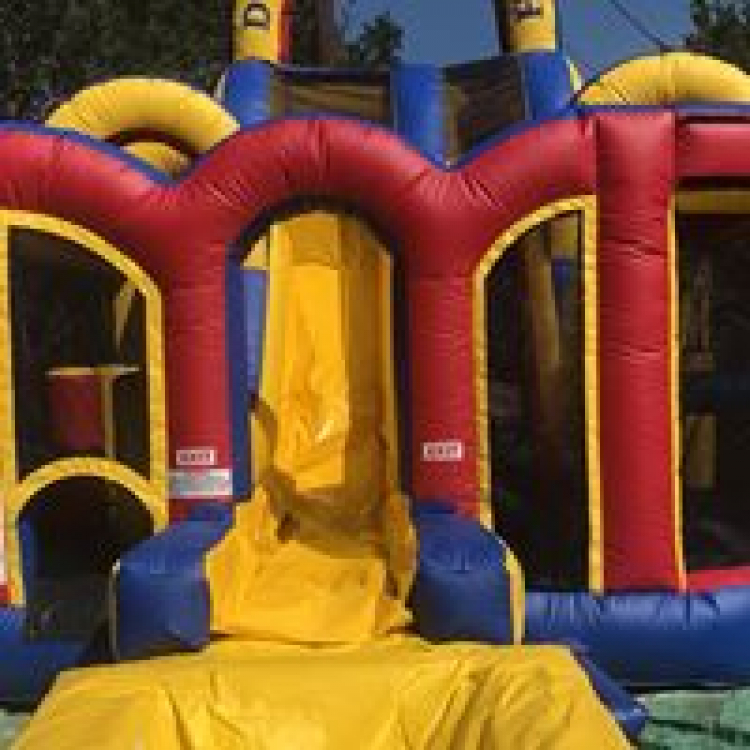 Kids start off by navigating 4 pop ups, sliding through the tunnel slide, dodging through 3 more obstacle and proceeding up the stairs and down the slide splashing into the pool. 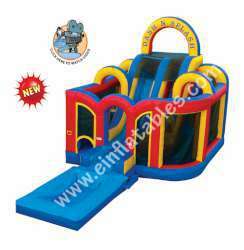 Features our exclusive Non-Slip Material on the mattress that prevents the kids from slipping when used wet. 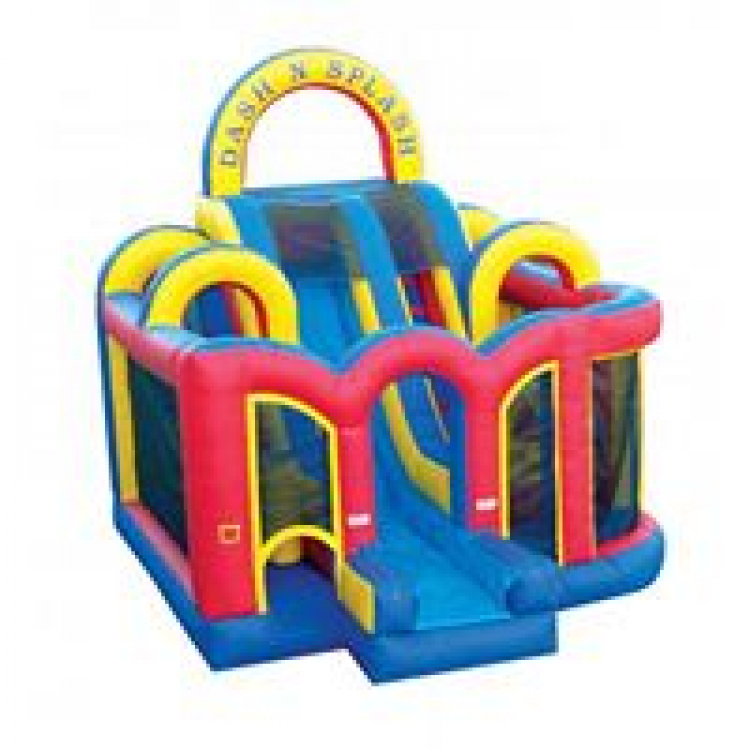 It's a great dry obstacle course with the pool detached.